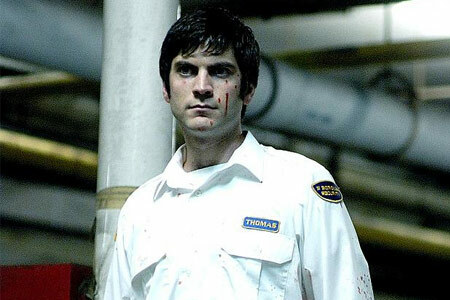 Welcome back for the second part of my list of top 20 holiday-themed horror movies! Like I mentioned yesterday, these are films I try to watch every year around Christmas. 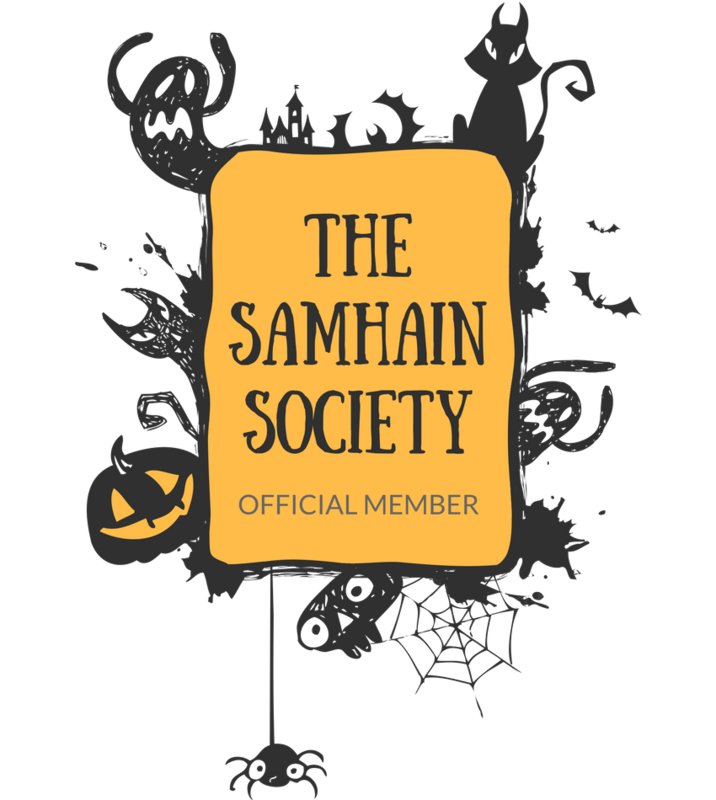 You'll find that most of these are horror films, but there are a few that are more subtle in their horrors (and one that isn't really horror at all, but that horror fans appreciate). 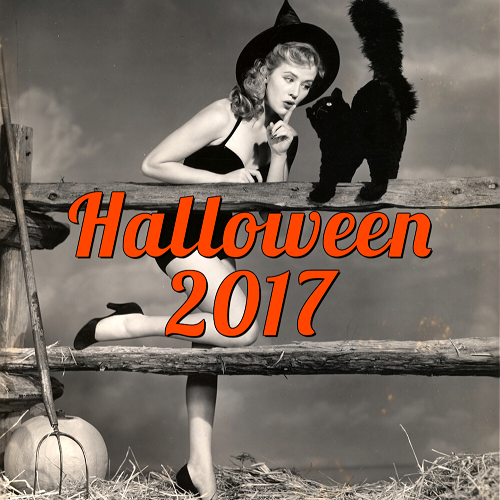 All of the movies listed are guaranteed to put me in the Creepmas spirit! Since the list is a bit lengthy, I posted Part 1 yesterday and below you'll find my remaining top 10 list (#10-#1!)! 10.) 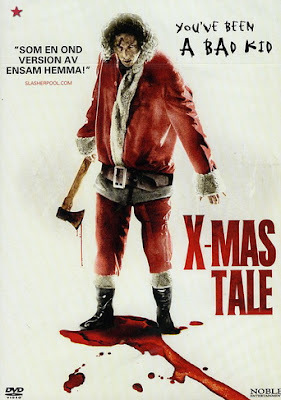 A Christmas Tale – This little gem is part of the DVD set “6 Films to Keep You Awake” from Spain, and is about a group of childhood chums that stumble upon a thief dressed as Santa who has fallen into a hole in the forest. After learning she is a criminal who has recently stolen a bunch of money, the kids sadistically torture her with hopes they can get their money on the cash. Eventually, they think they’ve killed her, but the woman manages to escape and starts viciously hunting down the children to get her revenge. This is an extremely well-done and tense film, but also throws in some laughs with the Goonies-like group of kids and many ‘80s pop culture references. 9.) Tales from the Crypt – "All Through the House" - This creepy story in the original Tales from the Crypt anthology (based on the EC comics of the same name) stars Joan Collins as beautiful-but-deadly wife who murders her husband on Christmas Eve as their young daughter waits for Santa Claus upstairs. Soon, Santa does show up, but he’s no jolly gift-giver and proceeds to stalk them in their home. 8.) P2 – A lot of people dismiss this movie, but I actually enjoyed it. A woman working late on Christmas Eve finds herself trapped on the P2 level of her office’s parking structure after everyone’s gone home…and it seems the weirdo security guard has made plans to spend Christmas with her, whether she likes it or not. While it’s not the best movie ever made, it has some great tension, wonderful holiday decorations and a yummy Wes Bentley as the psycho security guard. 7.) Edward Scissorhands – This isn’t strictly Christmas-themed nor is it a true horror movie, but I love watching this classic Tim Burton movie (and one of my personal favorite movies of all time) around the holidays. There is just something about the last part of the movie, with all the snow, Christmas decorations and message of enduring love that resonates with me and makes this a wonderful Christmas flick. Plus, it’s gothic undertones and the last appearance of Vincent Price makes it an ideal choice for horror fans. This is the original Team Edward!! 6.) Dead End – Ray Wise and Lin Shaye star in this little-known holiday film about a dysfunctional family taking a trip to visit their relatives on Christmas Eve. When the dad decides to take a shortcut on a dark country road, strange things start to happen. A big, black hearse is the only car on the road, they pick up a silent woman, they pass a creepy baby carriage on the road and they never seem to get any closer to their destination. This movie boasts hilarious dysfunctional family moments as well as hair-raising scenes and a great double-twist at the end. 5.) Santa’s Slay – Okay, this movie doesn’t float everyone’s boat, but I just can’t get enough of this movie! It is in the same crass category as Jack Frost, and I just love it! 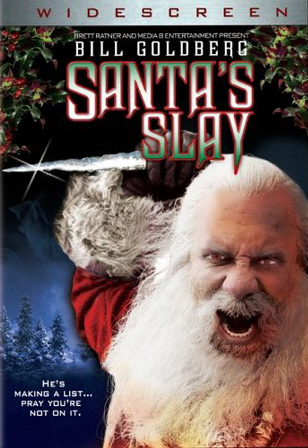 The backstory on Santa as an evil demon is genius (and a great nod to Krampus), plus the opening scene where Santa massacres a group of characters played by some D-list celebrities is one of the best opening scenes ever! 4.) Gremlins – How could I not include this on my list? This is a must-see for me every Christmas season! 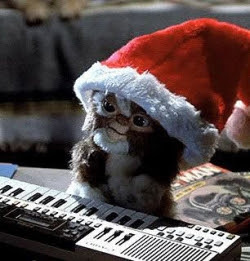 I know it’s not really a “horror” movie, but who can resist Gizmo and his evil spawn during the holiday season? This is a really funny and witty cult classic that still holds up today. And I can’t think of a better movie for the kiddies (and kids-at-heart) this Creepmas (well, besides Nightmare Before Christmas, see below). 3.) The Nightmare Before Christmas – A classic that I watch both on Halloween AND Christmas and yet never get tired of. 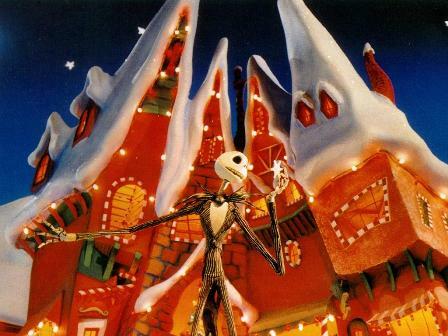 Who doesn’t love Jack Skellington’s plans for Christmas and his version of Sandy Claws? 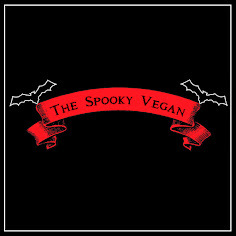 The coupling of Halloween and Christmas in the film is sheer perfection for those of us that like our Christmases with a touch of spookiness to them! 2.) Inside – Looking for a dark, extremely gory tale this Christmas? Well, it just wouldn’t be Christmas without the ultra-violent and controversial Inside! 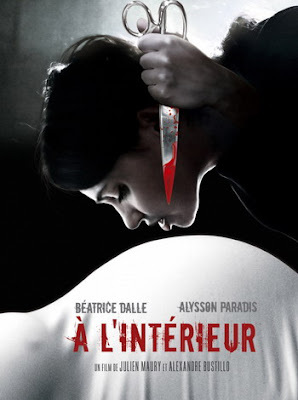 In this French movie, a pregnant woman’s home is invaded on Christmas Eve (what is it and all these movies on Christmas Eve??) and she is forced to fight for her and her unborn baby’s life against a crazed mystery woman. Not for the squeamish. 1.) 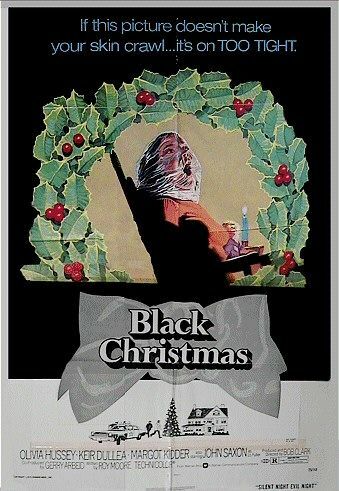 Black Christmas – My #1 movie for the holiday season is still this 1974 classic from Bob Clark (who gave us the other holiday classic A Christmas Story) about a group of sorority sisters (including Olivia Hussey and Margot Kidder) who receive sinister phone calls during Christmas. The calls start obscene but become more terrifying as the sisters begin disappearing one by one. To this day, the phone calls and killer creep me the f@%k out! This film also pre-dates both Halloween (the killer’s POV) and When a Stranger Calls (creepy calls) and has inspired many horror films. The film is nerve-wracking, has characters we actually care about and a solid storyline. I also like how it leaves many questions about the killer unanswered, making it all the more hair-raising. FYI – Watch the terrifying original instead of the tepid remake. Check out Part 1 (my picks for 11-20) HERE! I'm dreaming of a Black Christmas.....awesome picks!!! 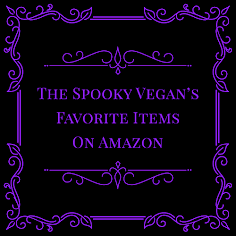 Great list - there are a couple of those I haven't seen, but definitely want to now. Awesome movies on this one! Will definitely have to look at Intruder. Hear hear for the original Team Edward!!! Good list! Was gonna watch and review Inside myself because I was highly intrigued by the concept. Now I'm even more excited to do so! 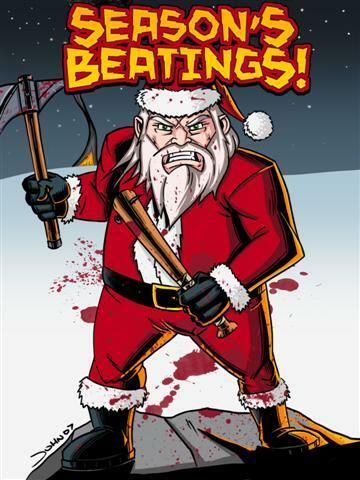 I wasn't impressed with Black Christmas. It's a classic, I know, but that doesn't mean it's good for me! 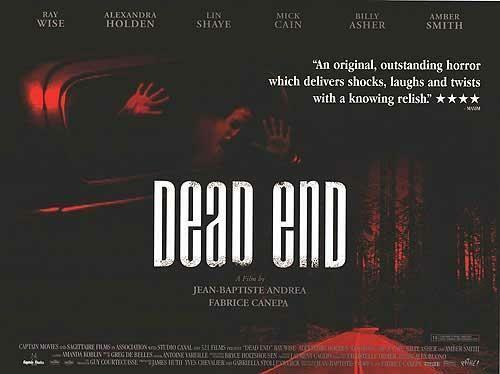 But super-kudos on the choices of P2 - I adore that movie - and Dead End, which was a genuine surprise and a really good twisty little movie. And City of Lost Children! Another great holiday choice. Ok I have seen P2 show up on a few list's now so I just ordered it. Looking forward to checking this out. Also I posted the Black Christmas sound track a few days ago if you don't already have it. I'll go with...INSIDE! Yeah, love me a femme fatale anyday!